This post was sponsored by AVEENO®, but all thoughts and opinions are my own. This has been a big travel year for me – I’ve been on 5 major trips to other countries, and I have to say — I’m limping into the New Year! It’s been exciting to travel so much but I’ve been tired in the days leading up to each trip, and especially after returning. With all this living out of a suitcase and jumping on planes, I’ve come up with a few ways to get back to a normal routine that have worked well for me. Here are my three tips for getting back on track after vacation! After returning from Mexico, I felt like I needed to detox from too many tacos. I had more lobster rolls then I could count in Nantucket and Martha’s Vineyard, and literally ate my way through Disney World. I also have a terrible habit of stopping at Wendy’s for a Bacon Classic Single combo on the way home from the airport, but the next day, it’s time to start fresh. The first thing I do when I return from vacation is reset my eating habits. More water, more fresh fruit and vegetables, and I try to stick to home cooked meals. There is so much to do after returning from vacation – unpacking, laundry, catching up on work, etc. 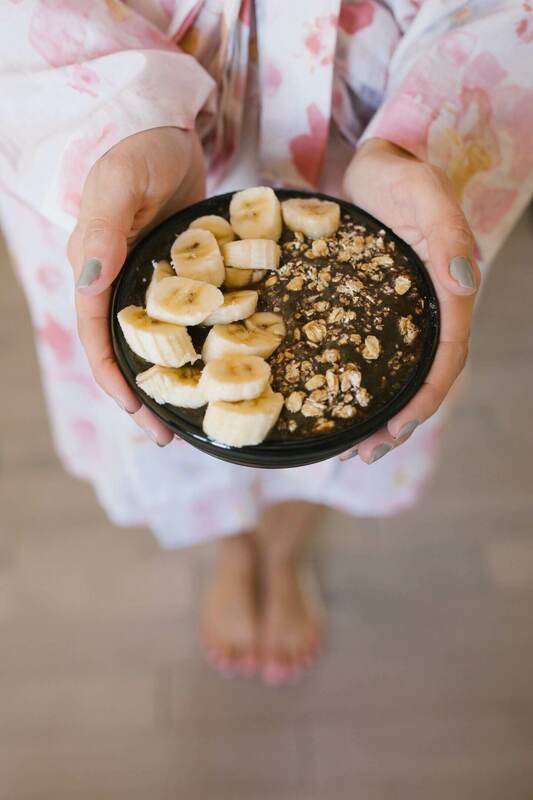 – so, making meals doesn’t always rank high on my to-do list, but I force myself to put together my own meals, so I can control how healthy they are. It’s so important to get into my workout groove as soon as I return from a trip! Why? Well, because I sure don’t acquaint myself with the gym at any of my vacation destinations! I really am not one to work out while I’m travelling, so as soon as I get home, I make a serious effort to set a workout schedule for the first couple weeks. When I don’t do this, I find that I delay my first workout and I find myself three weeks later with nothing done! 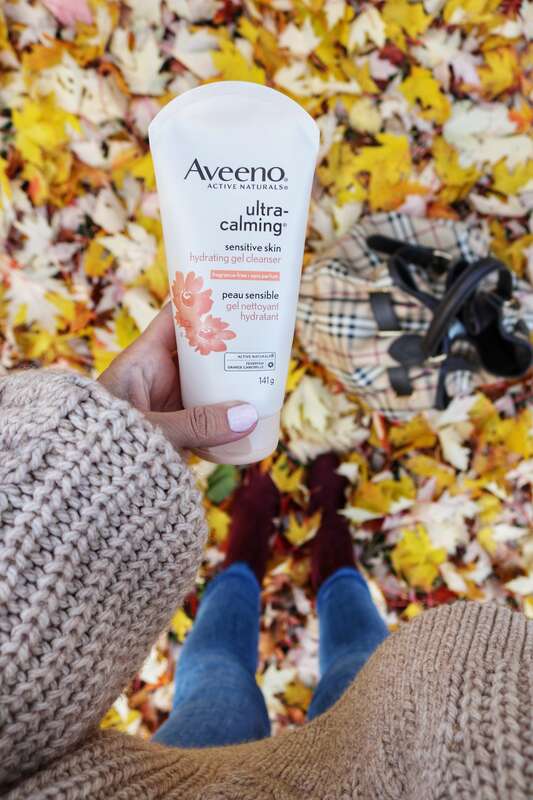 I’ve mentioned before that I LOVE travelling with AVEENO® Ultra-Calming® Make-up Removing Wipes because they do it all – they remove make-up, gently cleanse and soothe my skin and are so easy to throw in my suitcase! Another product in the Ultra-Calming® line that is so helpful for resetting my skin after travelling is the AVEENO® Ultra-Calming® Hydrating Gel Cleanser. I have a hard time keeping up with my skincare routine while I’m away, so when I return, I want to cleanse, cleanse, cleanse my trip away! I love that it goes on as a gel and provides a lather that does not dry out your skin. It’s gentle enough for sensitive skin, it’s fragrance-free, and it tends to take off my make-up when I use it at the end of the day. It has calming feverfew and nourishing oat that helps my skin feel hydrated and healthy-looking. 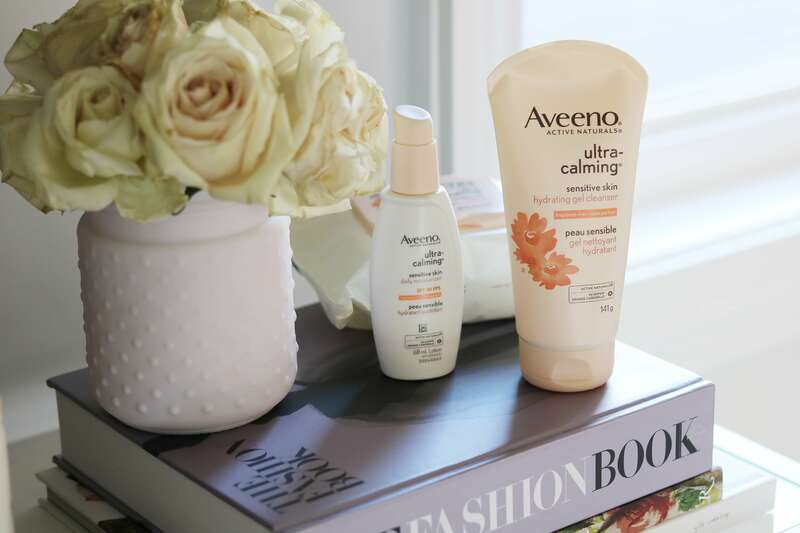 You can find the AVEENO® Ultra-Calming® products at Shoppers Drug Mart. After a year of being on the go maybe a little too much, I’m glad I’ve found a routine to get myself back on track quickly, so I can prepare for the next adventure!